Trade shows are fun events to participate in and even present at. But when you realize you also have to set up the display and make sure you’re standing out from the crowd, the excitement sometimes diminishes, and the worry builds up. You need not only an eye-catching booth for all the show attendees but also a display that will stand out from the competition, searching for new clients for their business. At SpeedPro Imaging Long Beach, we specialize in crafting the perfect trade show display booths for you. Having a setup and backdrop that accurately portrays your business and reflects your brand is crucial in gathering new customers. Our studio lends its services to businesses located in Cerritos, Long Beach and Lakewood. 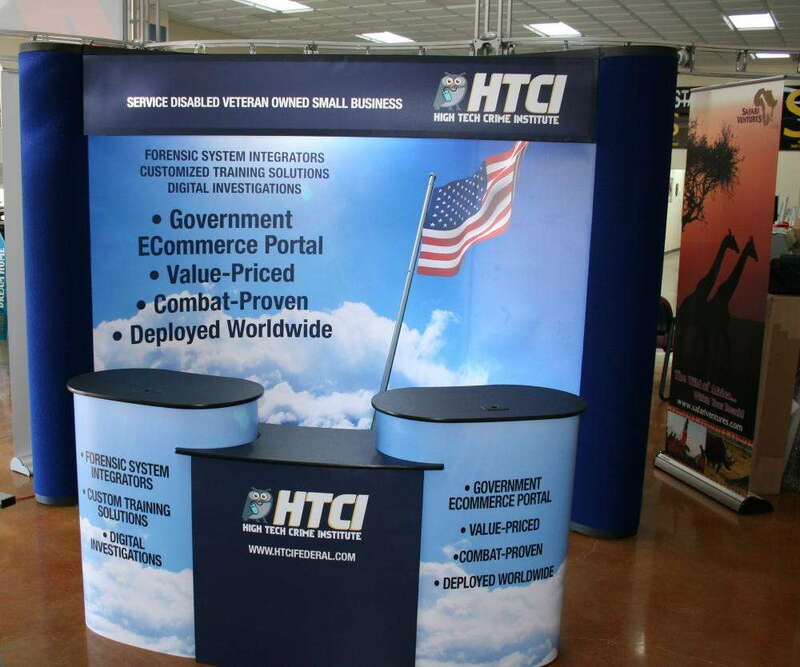 Reach out to us today so that we can get started designing your ideal trade show display! Trade shows are a perfect place to be when you’re trying to increase your sales and reach out to new customers. You’re in a position to see what other business’s advertising methods look like and use that to better your own outreach. If you’re a new business owner, attending the event yourself will help give you an idea of how to reach out to customers, persuade them to choose you over other companies and see what seems to be the current trend in brand marketing. 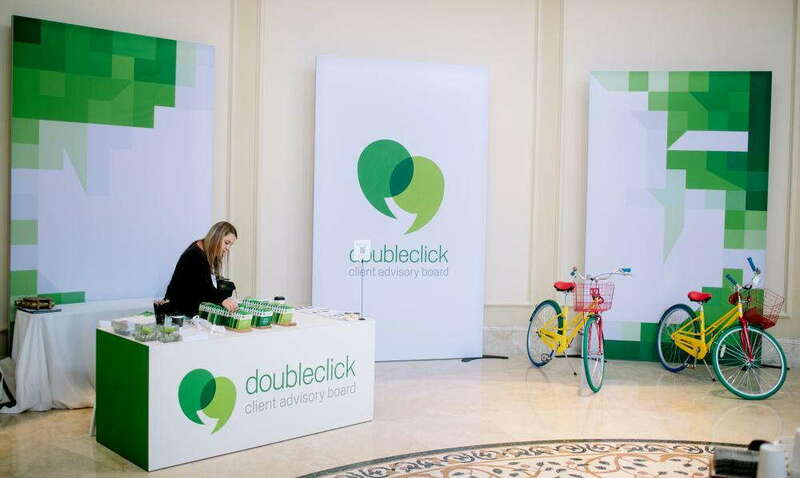 An attractive popup trade show display that grabs attention will allow you to initiate conversations with anyone passing by. You don’t want a display that’s too aggressive or intimidating. Aim for one that’s warm in nature and welcoming to an entire audience. You can set up a few products or examples of your service, provide information that invites people to ask for more and even perform a few demonstrations. If you catch someone’s attention and interest, they’ll come closer and want to know more about you! 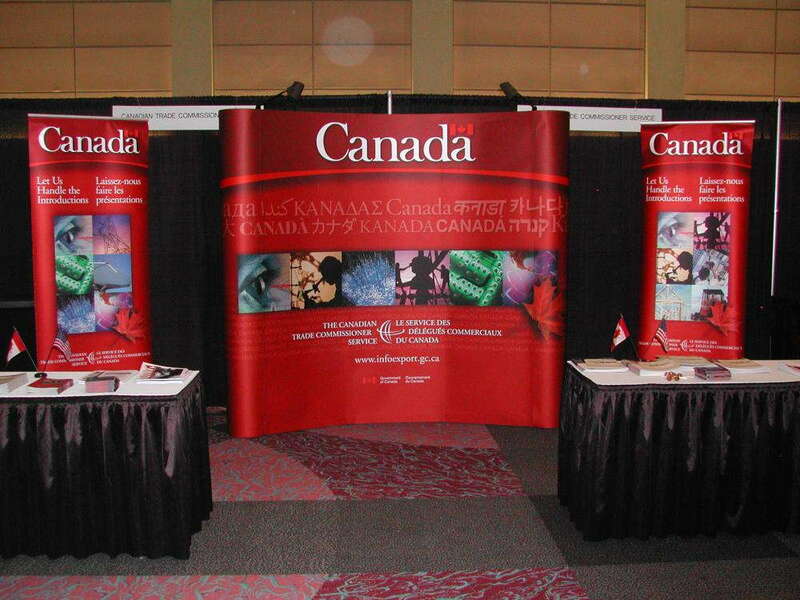 Banners contribute massively to the success of your trade show. Their versatile nature allows them to be on display in a variety of ways. You can hang them from grommet rings, place them in stands on your table or bookend your display with eye-level retractable banner stands. We print banners on vinyl, ensuring they stay durable. With the vivid display of inks, they’ll be sure to capture the attention of everyone in attendance. Another great option is backlit displays, which will apply LED lighting to your richest graphics to make them look even better and more professional. Your customers will know exactly where to look when you create a spotlight for your most unique, attractive images and fabrics just by plugging in. Tents are another great feature for your trade show display booth because of their durability and portability. 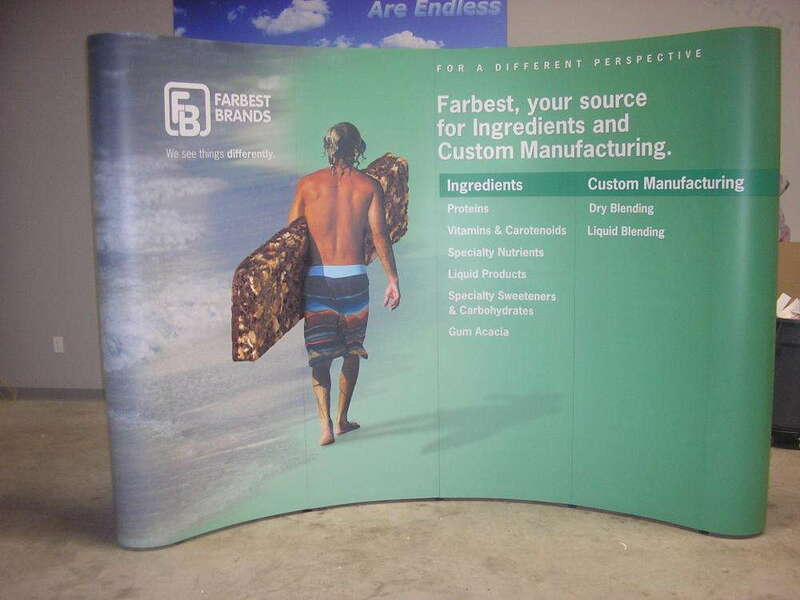 You can create a portable trade show display with a folding and locking tent that requires no tools to assemble. Simply take it down at the end of the event, carry it in a fabric carrying bag and transport it to your next location! Pop up displays have similar features, with optional cases, tool-free assembly and a lightweight, highly portable nature no matter which of the several sizes you choose. Come to your next trade show prepared and in style with our customizable features and products. Call our studio today, and our team will set you up with a consultation to go over all your business and branding needs!